ImprovE collective’s ninth event within the platform for contemporary art, in the form of the first sound walk along Dorćol, took place on Sunday, 15th September and began in front of the UK Parobrod. At the invitation by this collective and in collaboration with the project „Sound Map of Dorćol“, seven chosen artist created new soundscapes using recordings of sounds from the streets designated for this walk. Visitors enjoyed the music as a a new way of experiencing the city, and at the end of each song, there was a new spot/story from the sound map. Our idea is to make this walk available to everybody, and for that reason, all materials and map routes in pdf format can be downloaded from our blog. 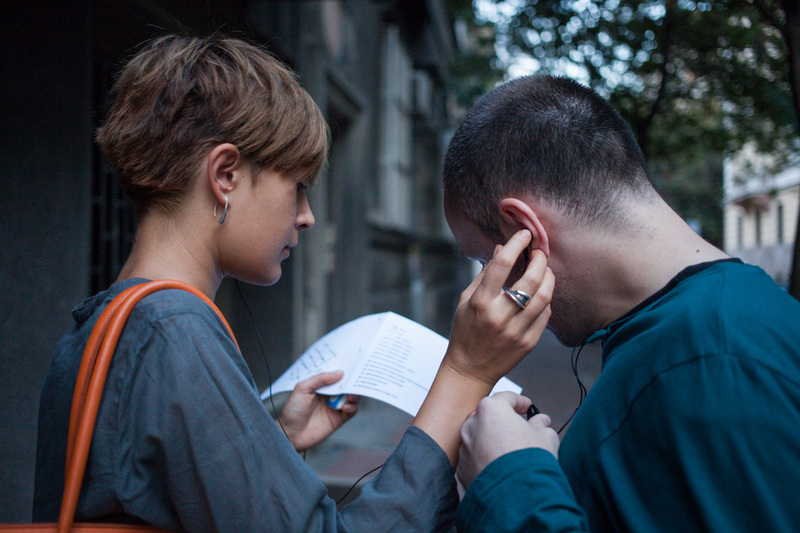 Sound Map of Dorćol and ImprovE2.0 kolektiv announce open call for creating audio recordings that will be presented within the Sound Walk along Dorćol, 15th September 2013. Selected works will be presented as audio “bases” for the first Belgrade soundwalk whose path will include seven walking routes mapped among the already set spots at Sound Map of Dorćol. (www.zvucnamapadorcola.rs). 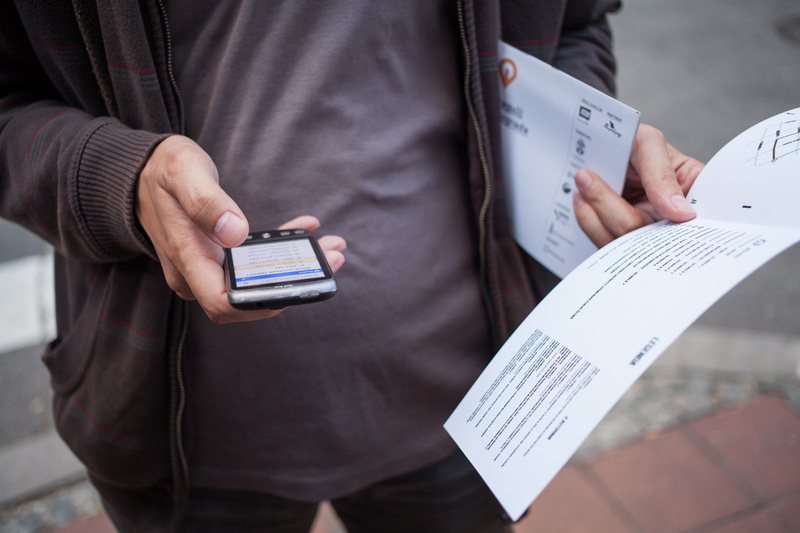 Participants­walkers will be able to download these works via their smart phones and mobile audio devices at the stand, which will be set in front of UK Parobrod (http://www.ukparobrod.rs/), and to listen to them during the walk. In order to take part, you are required to apply by sending an e­mail that includes author’s full name and short biography to improv2.0@gmail.com, no later than 15th August. You will then receive a recording made during one of the walking sections. Received recording is the starting point for your audio work that is supposed to offer the authentic artistic insight into Dorćol sound environment. Your work must be of the identically same duration as the received recording. Send your works in mp3 320 kbps format to improv2.0@gmail.com no later than 25th August. Idea for the realization of this project stems from the concept of mapping the sound landscapes (soundscapes) that document the atmosphere and dynamics of an area by graphic and audio recordings. One of the best ways to “get to know” the sounds of an area is the soundwalk – a walk that gives us insight into a certain surroundings by listening and concentrating on the sounds. The aim of the Soundwalk along Dorćol is to perceive and explore one of the oldest Belgrade parts by audio/listener point of view, to establish interactive relations between participants­authors of works, walkers and sounds of the area, i.e. Dorćol, and to gain the ability to understand sounds of an area and their meaning. Dorćol, as a meeting point of many cultures and dialogue between history and contemporary trends, opens up a space for such an idea to achieve its full realisation, and at the same time to become a stimulus for other similar actions in other city parts.